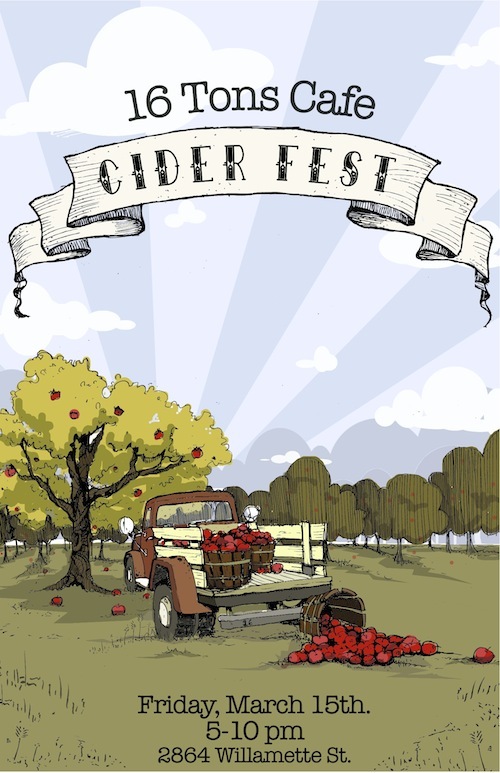 On Friday March 15, Cider Fest takes center stage at 16 Tons Cafe. According to the Northwest Cider Association Cider is the fastest growing segments in craft beverages. Many cideries such as Yakima Valley’s Tieton grow their own apples, truly connecting the farm to the table. Local producers 2 Towns from Corvallis and Anthem from Salem will be on hand to answer questions about their products. Featured Ciders include those aged in Wine Barrels, Bourbon Barrels, infused with Apricots, Cherries, and other fruit. Many of the Ciders are from single orchards. The Festivals provide a unique opportunity to sample seasonal, one off, and rare beers from renowned brewers. For the novice and the experienced beer enthusiast this event is an incredibly fun opportunity to sample and savor some of the most sought after beers in the world. Bring your friends and share some sips.